The government is in talks with investors around the world to develop Northern Regional town Dagbon and environs, according to the special aide to the Ashanti Regional Chairman of the ruling New Patriotic Party (NPP), Mr Andy Owusu. "What I know is that the NPP government led by President Akufo-Addo is lobbying investors from international communities to develop the place", he revealed to reporters in Kumasi. According to the spokesperson of Mr. Bernard Antwi Bosiako, Dagbon for a decade has not seen any development due to the then chieftaincy issues between two gates hence, government move to ensuring the current peace in the area and bringing development to the people. "We know this will create an avenue for jobs for our teaming youth and the total development of us all", Mr. Andy Owusu pointed out at a press conference covered by this reporter, Kwabena Danso-Dapaah. Earlier one of the major stakeholders which championed the restoration of peace in Dagbang, the Dagbang Malima Zungo (DAMAZ) has touted President Nana Addo Dankwa Akufo-Addo as a decisive leader. According to the Chairman, Alhaji Jagbo Baako, the President by his action demonstrated that he is indeed a great leader who walks his talk. "We thank the current president, His Excellency, Nana Addo Danquah Akuffo Addo for the formidable role he played in implementing the committee’s report to the latter without fear or favor to the admiration of all." 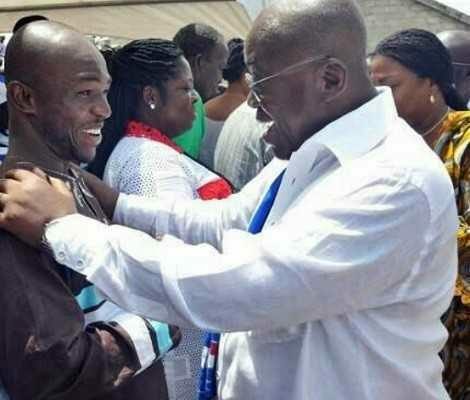 "In fact, Your Excellency you have proven to the people of Dagbang that you are a decisive leader", Kwabena Danso-Dapaah said.